We've had three SPC Showdowns in the past, and it's grown to be a popular feature here on SuperPhillip Central. This time around we're taking a musical approach to the Showdowns with some very tumultuous tossups. We're pitting soundtrack against soundtrack in this our fourth SPC Showdown segment, so sit back, enjoy the ride, and let's get it on. Meanwhile, the Crystal Bearers is the most recent entry in the Crystal Chronicles series, and it was released at the tale end of 2009, after X-mas. It used more traditional instruments but retained the caliber and quality the Final Fantasy series is known for. Even a few original Crystal Chronicles tracks were remixed for this game's ballroom sequence. Next up is a pair of soundtracks composed by the same composers, Mahito Yakota and Koji Kondo. Mahito Yakota composed the majority of tracks while Koji Kondo penned just a few on each soundtrack. Which soundtrack reigns supreme? While Super Mario Galaxy 2 has more music, does that make it the better soundtrack? Let's compare samples. Two soundtracks for the latest mainline Final Fantasy games is what we have here in this showdown. One is composed by Hitoshi Sakamoto who co-wrote one of my favorite video game soundtracks of all time in Final Fantasy Tactics. It makes sense that this composer writes another soundtrack for a game based in the world of Ivalice. The other is by Masashi Hamazu, a relative unknown in the video game music composition world. The game itself was touted as being too linear and simple. The compositions heard in the following samples are anything but. Can Mr. Hamazu's Final Fantasy XIII soundtrack pull off the upset? Next up we have two soundtracks from the same series by the same composer in Motoi Sakuraba's Star Ocean: The Second Story and Star Ocean: Till the End of Time soundtracks. Which has the most memorable music? 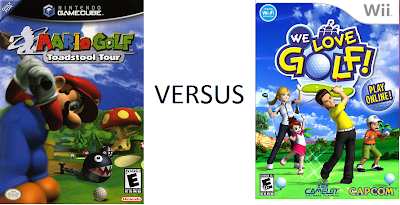 The final battle on this installment of the SPC Showdown pits two golf game soundtracks against one another. Both were composed by the same composer in Motoi Sakuraba. Which will come out on top and under par? That concludes this beatdown of video games. This SPC Showdown is complete. What would be your outcomes in these various matches? Let me know in the comments section. They're always appreciated.